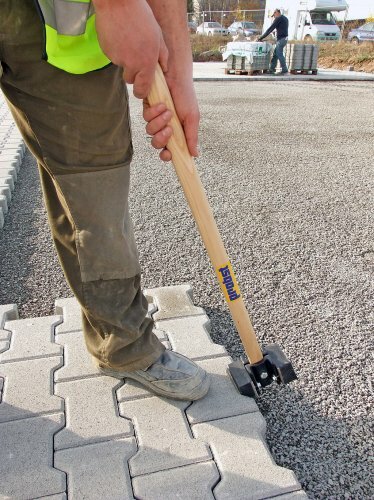 The Probst GH Rubber Hammer is designed for the easy ergonomic alignment of paving stone. The hammer remian verticle after use due to its rectangular design. Easily exchangable wear parts – the GH Rubber hammer come with two handle lenghts.